Lunatic Magazine is having a special contest - the top prize is a lifetime pass to the Arcave! All anyone has to do to win is take a photo of the legendary Orgle Borgle-a monster that has never been photographed before. This is a contest Banana must win at any cost-because, like, he really wants to win. But getting a picture of the Orgle Borgle may just be impossible! 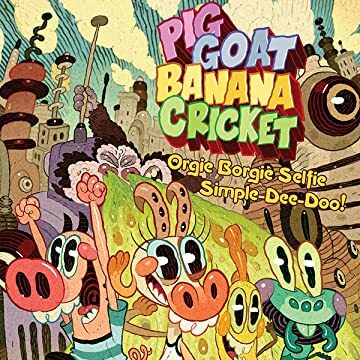 Plus many more stories featuring Pig, Goat, Banana, and Cricket! Vol. 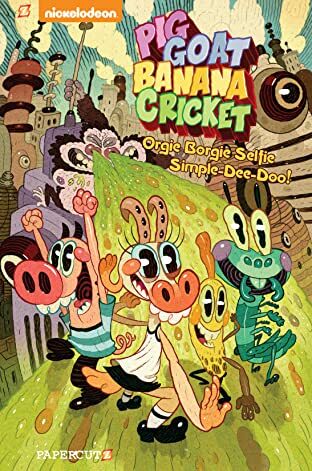 1: Orgle Borgle Selfie Simple-Dee-Doo!